Study Graduate Diploma in Human Resource Management at the University of South Australia (UniSA). Information for International students. A completed graduate certificate* from a recognised higher education institution. Gain the expertise and confidence to apply HRM systems and your leadership skills, in a global context. Benefit from an industry placement and an overseas study tour as part of your studies. Use this qualification to continue your studies through a range of UniSA master's degrees. Study specialised areas such as recruitment and selection, employment law, and people, leadership and performance. UniSA is No.1 in SA for postgraduate employment outcomes in Business and Management1. 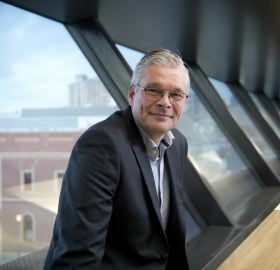 The University of South Australia Business School is in the top one per cent worldwide2 and has been awarded and overall five stars for excellence in the QS Stars Ratings 2019. 1QILT: Graduate Outcomes Survey Course Experience Questionnaire 2016-18 – Full-time Employment Indicator. Public SA-founded universities only. 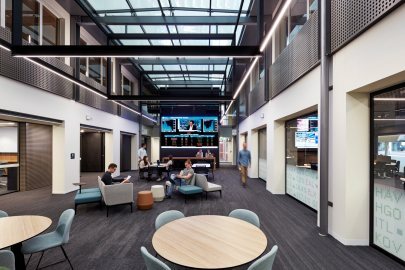 2UniSA Business School is one of just nine institutions in Australia and 180 globally to be accredited by EQUIS (from over 16,500 worldwide). EFMD, February 2019. Become a qualified human resources management (HRM) practitioner, in demand across a range of HRM roles. This Graduate Diploma is designed and taught by academics actively involved in collaborative industry research. You will study core courses in HRM and specialised topics such as recruitment and selection, employment law, and people, leadership and performance. You will develop the skills and confidence to problem-solve, think critically and analytically, and communicate effectively across the field of HRM. You will have a structured introduction to the core areas of HRM practice, including the business and organisational context in which it occurs. You will also choose two electives, enabling you to tailor your studies to your professional interests. These include the industry placement and overseas study tour options. 1. 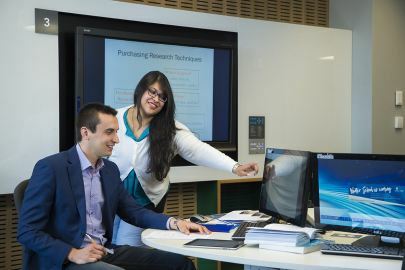 Students are encouraged to undertake the remaining elective courses from the postgraduate electives list available at(http://w3.unisa.edu.au/management/current/postgraduate.asp) in consultation with the Program Director. A course from another division can be studied only with the permission of the Program Director. 2. Students who have taken, for another award, a course which is substantially equivalent to a course from the program schedule, may be granted up to one third of the program in credit or may substitute a course of equal standing and unit's value, with the approval of the Program Director. Credit will only be granted for courses undertaken at postgraduate level. 3. The Program Director may approve variations to the program of studies for a student by substituting courses from the program schedule with courses from other graduate level programs in this or another university. You will also have opportunities for industry placement and an overseas study tour through your choice of electives. UniSA is renowned nationally and internationally for excellence in business education. We develop our degrees in partnership with industry and connect with top professional bodies. Have you ever wanted to have career guidance from an experienced business mentor? As part of your studies, you can apply for our Executive Partners Program. This is a unique opportunity for you to engage with highly successful industry executives to enhance your studies and career. Our Executive Partners are either active, semi-retired or recently retired business professionals who have a wealth of knowledge and want to help you achieve your goals. 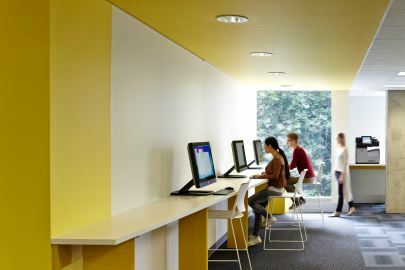 The Business School Hub is a convenient, central support service for Business School students, from first year through to graduation. The team provides expert advice on study options, elective choices and any academic difficulties. It also helps with referrals to support services across the University. The Business School Hub is there to facilitate your life at university, so you get the most out of your UniSA experience. I have more than 20 years’ experience as a professional architect working on the design and project management of large and complex building projects. My area of research interest is in strategic knowledge management to support organisational sustainability. At UniSA I am responsible for the design, management and delivery of a number of undergraduate and postgraduate courses in the School of Management. Incorporating into my teaching, changes to human resource management and industrial relations practices across industry is a career focus for me. The quality of teaching staff is high and lecturers have experience in the field, not just the academic knowledge. They are engaging and supportive by providing detailed feedback and developing useful online resources and recordings. When hiring staff, I look for a suite of five skills. I look for their ability to communicate and engage in meaningful conversations, their commitment to learning, team orientation, personal leadership, as well as their professional skill set. My advice for HR professionals is to invest in your own development - whether that be through studying, reading, attending presentations or being great at asking questions!